Tips and Techniques on How to make Effective PowerPoint Presentations & How to Share and Find them Online?! Information and communication technologies have revolutionized the world in such a manner that now we can observe its impacts in everyday life and in every field of life. Effective PowerPoint presentations have numerous applications in business, marketing, education, medicine, and engineering and in almost every other profession you can name. Along with making good PowerPoint presentations, sharing them online can open innovative doors for communication globally. Here is a consolidation of tips and techniques for making effectual PowerPoint presentations as related by experts like Nancy Duarte, Guy Kawasaki and Garr Reynolds. 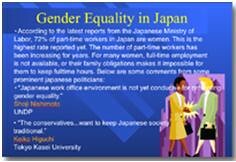 The first and foremost rule to making PowerPoint presentations is to make the slides as simple as possible. The focus of the audience needs to be on the speaker and not on the slide show, which merely works to assist the presenter. 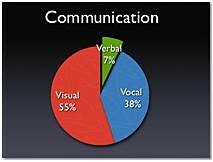 Your ability to convey a message can be disrupted by unnecessarily complicated slides, which will not supplement your presentation. Therefore, it is not necessary to fill all available space on a slide; rather one should not hesitate in leaving empty or blank spaces in the slides. An uncluttered slide will better convey the visual message that you intend to convey. Expert Guy Kawasaki has urged presenters to not have the font size smaller than 30 point font. 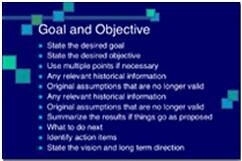 Through this way only salient points of your presentation will fit into one slide and keep the presenter away from the temptation of muddling the slide with a colossal amount of information. Slides are meant to support the words of the speaker and not make the presenter appear redundant. This will be the case if the slides contain a vast number of bullets and text with the speaker merely reading out text from the slide. The speaker needs to face the audience and know his content well so that he/does not depend on the slides for his speaking material. This slide contains a colossal amount of text. Way more than necessary. Something simple and classy like this slide conveys the complete message in a single sentence. Thisis simpler, classier and conveys a complete message using the correct amalgamation of pictures and text. There is a need for the prudent use of slide transitions and object buildups i.e. animations. An excess of the two will lead to boredom within the audience as the "Move" or "Fly" options are too slow and tedious. However, professional and artful animations can add to the efficiency of your slides. Therefore, the types of transitions should be limited to no more than three and should not be introduced between all slides. Mostly people do not know the difference between different font types and what kind of font will be suitable for a PowerPoint presentation. Choosing of fonts has to be deliberate as they convey positive or negatives messages regarding your presentation slides. It is important to use the same type of font for the entire slide presentation and to use no more than two kinds of corresponding fonts e.g. (Ariel or Ariel bold). It is also imperative that we are able to distinguish between Serif and Sans Serif fonts. Serif fonts are more suitable for documents involving a large amount of text, however their use in PowerPoint slides will not allow for clarity as projectors have a low resolution. For PowerPoint presentations Sans Serif font is the most suitable. Regardless, of your font type it is essential that the text can be read from the back of the room. Appropriate color combinations enhance the learning experience of the audience and help in retention. Colors can be categorized into either cool or warm colors. Warm colors include red, orange etc, which when used on a slide presentation seem to be coming at the audience. Therefore, the text of the presentation slides should be of the warm color category. Cool colors are to be used for the background of the presentations as they give the effect of receding away from the audience. Instead of using PowerPoint clip art it is better to include images in your slides that you might have taken from your own digital camera or the vast number of images available on the Internet. Usage of clipart does not give a professional touch to your presentation slides and the audience has probably viewed them repeatedly in many other PowerPoint presentations. Furthermore, to maintain a good quality resolution, rescaling of images to fit a certain space should be avoided. The Adobe Photoshop software should be used for modifying pictures so that they better fit the context of the slide. Firstly, a visual theme common to all the slides is important so that the audience can maintain a sense of connection between all the ideas. The visual theme should be unique and new to the audience in order to hold their attention and interest. Therefore, it is advisable to design your own PowerPoint templates that have been modified to cater to the individual need of the presentation slides. For presenting statistical data, instead of stating a complex array of facts and figures, pie charts, vertical and horizontal bar charts and line graphs should be used. 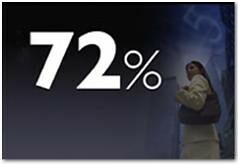 Pie Charts Used to show percentages. Limit the slices to 4-6 and contrast the most important slice either with color or by exploding the slice. Vertical Bar Charts Used to show changes in quantity over time. Best if you limit the bars to 4-8. Line Charts Used to demonstrate trends. For example, here is a simple line chart showing that our sales have gone up every year. The trend is good. 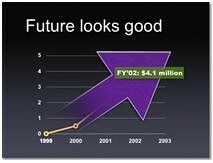 The arrow comes in later to underscore the point: Our future looks good! The main principle of presentation making by Guy Kawasaki is the 10/20/30 Principle. This explains that the number of slides in any presentation should not be more than ten; the total duration of the presentation should be 20 minutes and the font size should not be less than 30 points. These principles are applicable mostly in a business environment. It stresses on the fact that an average human being cannot absorb a pool of ideas represented to him/her at one time; therefore a smaller number of slides limit the number of shared ideas. Coming towards slide sharing here are a few tips on how to upload PowerPoint slides on online slide sharing applications like SlideSix, myPlick, SlideShare and authorSTREAM. The online applications have a user friendly interface and first timers have no problem at all in uploading the required slides. Firstly, you need to create a presentation using PowerPoint and save it as .ppt or .pps file format. Next, create an account on the slide sharing application onto which the presentation needs to be uploaded. Account making is a free and quick process. Once you are a member of any of these slide sharing applications, uploading of the slides is an easy process as clearly labeled tabs on the home page of your account assist in this matter. Using online applications, you can easily upload and search for a presentation belonging to any category. The presentations have been divided into categories like education, entertainment, etc. which makes it almost effortless to find the relevant presentation. “SlideShare is an online application through which a user can share their PowerPoint (PPT/PPS) and OpenOffice (ODP) presentations online. It has a YouTube like interface and users familiar with the layout, outlook and working of YouTube would find it easy to upload and search for presentations on this application. Along with the small version, it also offers the full screen version of the slideshow being viewed. This further provides clarity to the presentation. In addition to this it also offers the feature of viewing one slide at a time. “Step1: The first step is the actual uploading of the PowerPoint / OpenOffice / Keynote/ PDF file to our servers. During this upload process, the blue progress bar will keep you informed that the uploading process is going on. 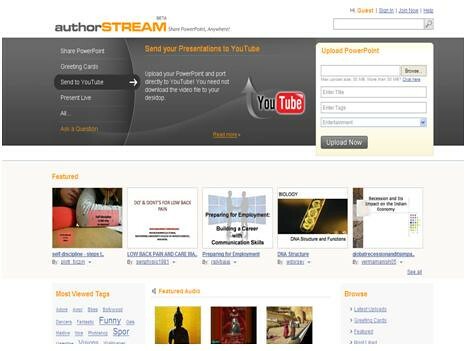 The formats of presentations supported by authorSTREAM are PowerPoint files (PPT, PPS, and PPTX & PPSX format) only. Makesure the maximum size of your file is less than 1 GB. Add audio using PowerPoint's ‘Add Narrations’ feature; or add ‘Sounds on animations’. Remember authorSTREAM does not support ‘Sound on Slide transition’ or a ‘Pre-recorded audio file’ embedded in your PowerPoint. Make sure that you mark the presentations you intend to protect as Private. Avoid using rare and exotic fonts or ‘Read Only’ Embedded Fonts in your PowerPoint. Avoid using inappropriate content, or copyrighted text or images. Don’t add a password to your PowerPoint. Don’t enable the ‘Submit for Review’ or ‘Reply with changes’ option in your PowerPoint. 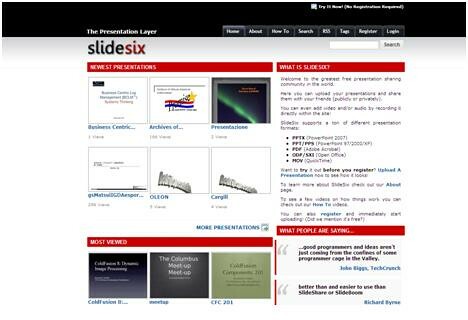 “Slidesix is a free service that allows you to upload presentations, add media (audio and video) and then share them with others online. The site also gives you an option to check out presentations uploaded by others. You can view newest, most viewed and most ranked presentations, add comments and rate presentations you like or dislike. Embedding of presentations on to your site or personal webpage is also supported. Furthermore, users can create a group or become a member of an existing group to upload and share presentations of a particular category and affiliate themselves. 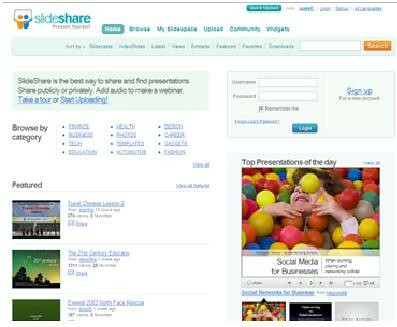 Upload, enhance presentation and share them online. Your SlideSix presentations can be public or made private and shared only with friends. Add multimedia (audio, video) to your slides online. Search and browse presentations of other users. Check out newest, most viewed and most ranked presentations. Add comments and rate presentations. 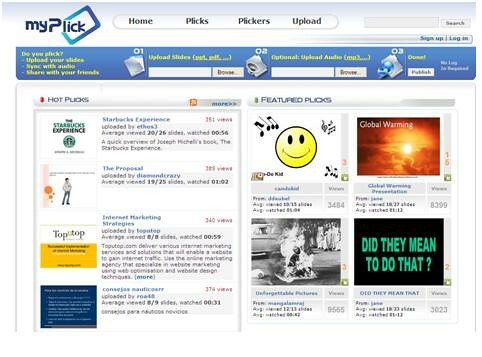 “MyPlick is a free service that lets you share, embed and discover presentations and slide shows online. You can upload your presentation documents in a variety of formats such as PowerPoint, pdf, openoffice odp, etc. If you need to add narration or sound effect to your presentation, you can upload an audio file and have the option to synchronize the audio with your slides using our online easy-to-use sync tool. The word "plick" comes from p(resentation) and (f)lick. It is our goal to put online presentation experiences so lively that watching a presentation on myPlick is like seeing a flick. Following are further links and pointers to online presentation tutorials.